TS-66B is recommended for use in extreme temperatures. It provides a good continuous film and has exceptionally stable consistency under dynamic working conditions. It functions well in most applications involving constant wear and heavy loading. TS-66B is resistant to the effects of H2S. Note: TS-66B is available in two formulas, TS66B for bearings and TS-66V for valves. TS-66B, unlike most extreme temperature greases, contains only solid additives. Fluid compounds may test well in laboratory conditions, but they usually withstand heat of no more than 350°F to 400°F. 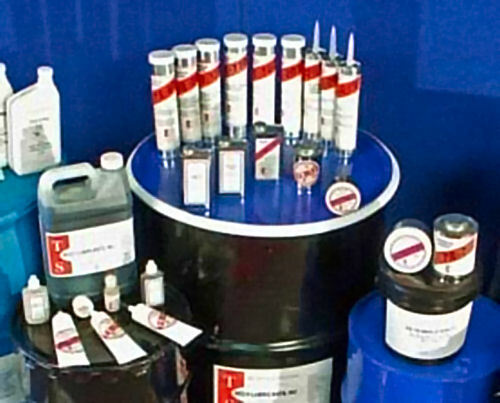 Solid lubricating additives remain unaffected at substantially higher temperatures. TS-66B resists moisture and contains no metal, or other ingredients that are considered hazardous to health or the environment.